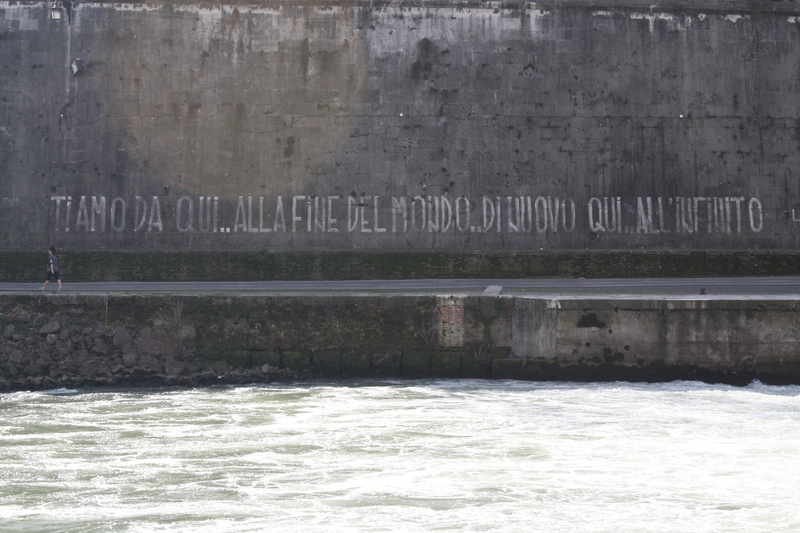 Was just looking through our holiday snaps from Rome last year – here’s some graffitti we saw by the river. Loosely translated it means ‘I love you from here until the end of the world and from there to infinity’. Makes me wonder who wrote it and what their story was! Next Post Let Loose in the World!